St. Mary’s College of Maryland’s Board of Trustees met today, Friday, April 20, and approved the budget for the Jamie L. Roberts Stadium, in the amount of $12.3 million, including design, construction, and equipment. “The design for the new Jamie L. Roberts Stadium has exceeded our initial goals for the project,” said Charles “Chip” Jackson, vice president for business and finance. “The College is extraordinarily grateful to the Roberts family, and all our donors, whose generosity has allowed us to develop a truly wonderful new facility. The project represents terrific value on the investment made by the State and our donors that will well serve our students and athletic programs.” Construction for the Phase I consisting of the stadium’s turf field will be completed and ready for use this May 2018. Phase II of the Jamie L. Roberts Stadium is scheduled to be completed in January 2019 in time for the spring 2019 season. This phase includes the athletic facility with locker rooms and bleachers, scoreboards, a grass field, and lights. The stadium is named in honor of Jamie L. Roberts, a St. Mary’s College class of 2011 economics major and three-sport star athlete who was tragically killed in June 2014 while riding her bicycle across the country in the 4K for Cancer event, which raised money for the Ulman Cancer Fund to support young adults impacted by cancer. The Jamie L. Roberts family donated $2.2 million to the College, with a portion of their total donation enabling the College to complete its $2.5 million capital campaign. 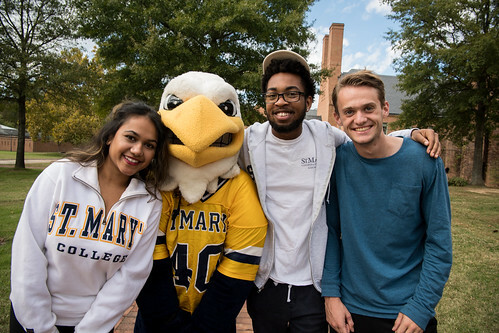 The completion of the campaign allowed the College to utilize more than $75 million in State of Maryland funding. The Jamie L. Roberts family gift is the single largest gift in the history of the College. The capital campaign will also support the completion of a new 52,289-square-foot academic building to house the College’s music department, a 700-seat auditorium, educational studies department, which includes the Master of Arts in Teaching program, and a multi-discipline learning commons area. Completion for this portion of the project is planned for 2022. The budget for the Jamie L. Roberts Stadium is supported by State capital funds (8.559 million), St. Mary’s College of Maryland Foundation funds ($3.651 million) and St. Mary’s College plant funds ($100,000). The stadium complex was awarded to R.A.D. Sports, a company based in Massachusetts with experience designing and building sports facilities for secondary schools and colleges on the east coast. The additional cost is a result of bids received by subcontractors for the project.